Araks - Araks' yellow cotton Antonia bra combines comfort with feminine flair in equal measure. 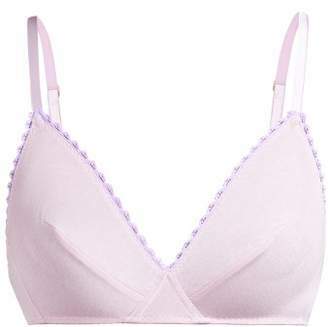 Made in the USA, it's shaped with soft triangle cups that are framed with a scalloped-edge crochet trim, and features skinny shoulder straps and an elasticated under-the-bust band. Complete the set with the coordinating briefs.